You guys, I could have talked to Susan for hours, and I know you’re going to love our conversation no matter what season of life you’re in. Susan and I start off the show talking about being intentional, whether that’s intentional parenting or just simply being intentional with how we interact with each other. We talk about discovering your core values and how those core values can guide you across life decisions big and small. Susan also provides suggestions on how we can move conversations from the surface down to the heart level. 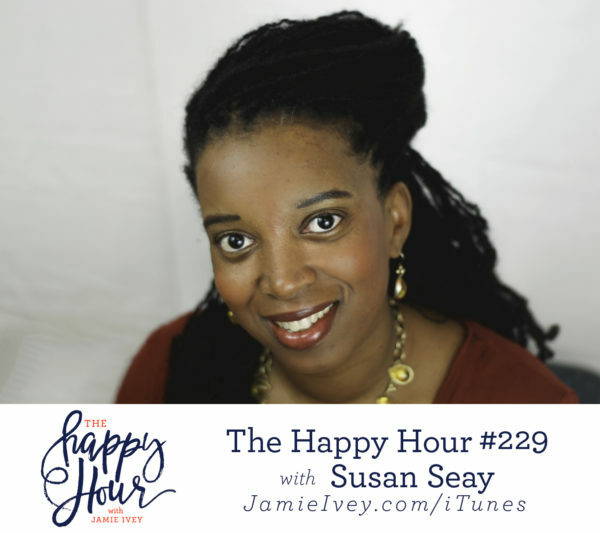 In the second half of the show, Susan opens up about the trials she walked through in 2018. We talk about what it’s like to feel like you don’t have it in you to keep going even though God is telling you it’s your path. Susan and I also discuss what it means to be courageous enough to tell the truth. She also shares what she and her husband did when they realized they were both spinning their wheels, and it wasn’t getting them anywhere. Join The Happy Hour Patreon Party! Excellent message(s) in today’s podcast! Family Core Values ! That changes the dynamic and reasoning.